It’s been a while, but we’re back, with two Shipwrecks / Shipwrecks-related shows. 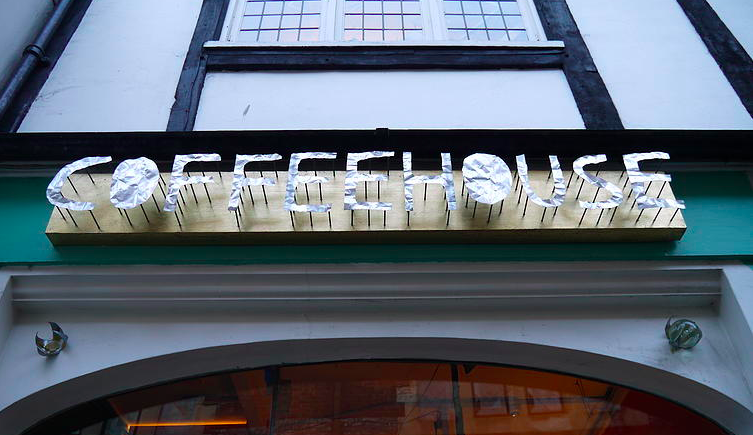 Launch of a new evening at one of Lewes’ best new spots, the Coffeehouse on Fisher Street. 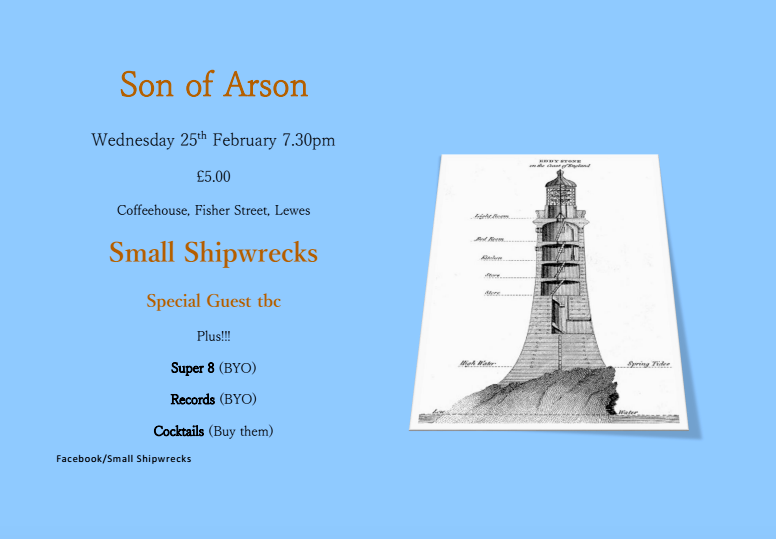 Son of Arson will feature music & spoken-word performances, cine film, cocktails and bring-your-own vinyl. Entry £5. Matthew and Charlie will be playing, for the first time as a duo. 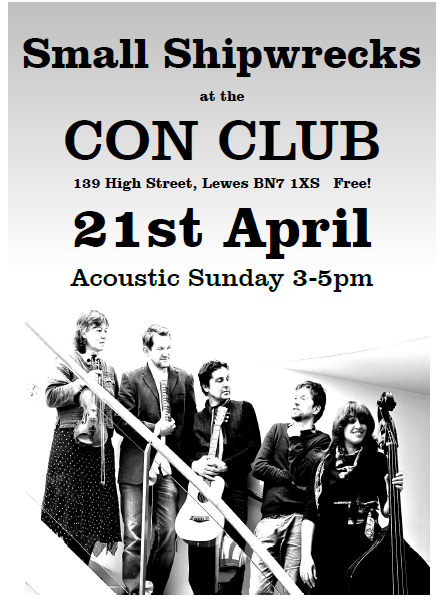 The first in a series of ‘Shipwrecks Presents’ shows at Sussex’s best-kept-secret venue, the Westgate Chapel in Lewes. 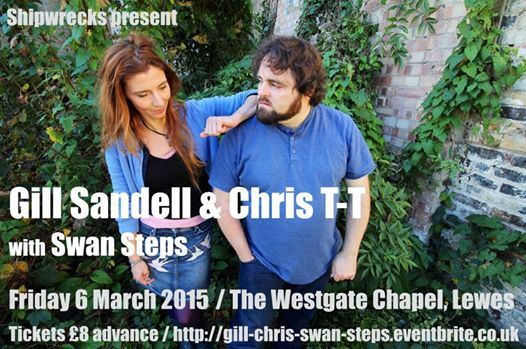 This evening forms part of the UK tour for two acclaimed alt-folk artists and old friends, Gill Sandell & Chris T-T. 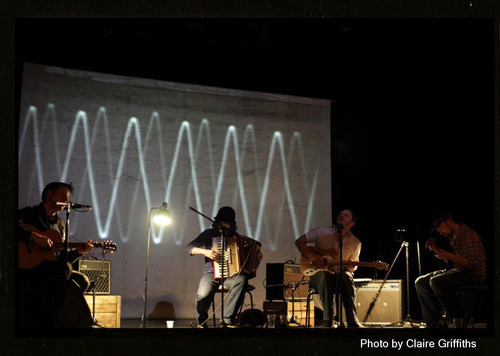 Performing as a duo for the first time, they are launching their first ever collaborative work. Walk Away, Walk Away is an atmospheric collection of noir songs from across pop, rock and folk, covering artists from Willie Nelson and Joni Mitchell to Yeah Yeah Yeahs and Voice Of The Beehive. It is themed around travel and absence; separation and journey; ancient pathways and empty freeways. Gill & Chris are both multi-instrumentalists; expect piano, accordion, guitars and effects, alongside their sublime, unusual voices in harmony. There’s also a lot of dry humour in the album and live show. Opening the show is the second outing for Swan Steps. This is Charlie’s solo project, which is building up a repertoire of songs inspired by childhood in Kent and the landscape and nature of the South Downs in Sussex. “Like First Aid Kit, but only one person and not a woman” (Joe Street). Tickets are already selling for this one, don’t leave it too late! Thanks to all of you who came out to Meadowlands, or tuned in to hear us on Folk Is Not a Rude Word! 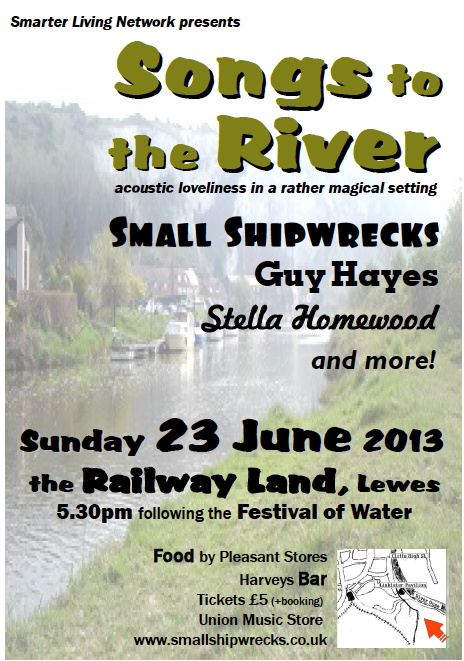 For our next show, we’re back in Lewes for a unique event: a summer Sunday evening performance on the Railway Land nature reserve, against the backdrop of Cuilfail cliff. Songs to the River is acoustic music in celebration of the Ouse. 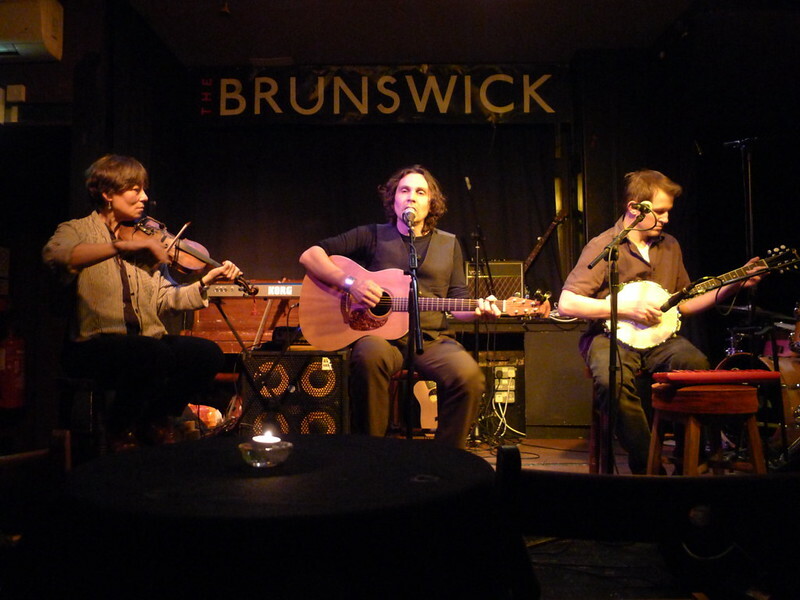 The show will feature Small Shipwrecks collaborator Stella Homewood (behind most of the lovely female vocals on Eucatastrophe – we’ll try and tempt her to join us on stage) and the wonderful Guy Hayes. The event follows the Festival of Water, and there will be Harveys beer and food courtesy of Pleasant Stores. Limited advance tickets are available – find them at Union Music Store for £5 plus booking fee, or online. This really should be a special evening, we hope to see you there. For Small Shipwrecks gig announcements and news, sign up to the none-too-spammy Shipping News emails.